The design of the Rex 900 Firewood Processor has revolutionised the industry – guaranteeing very high output with very low overheads. Designed and built in Australia, the Rex 900 has a proven reputation for good design, efficiency & reliability. Powered by a fuel efficient Deutz engine, the Rex 900 will split and load up to 15m3 of the toughest Australian hardwood per hour, with only one operator. 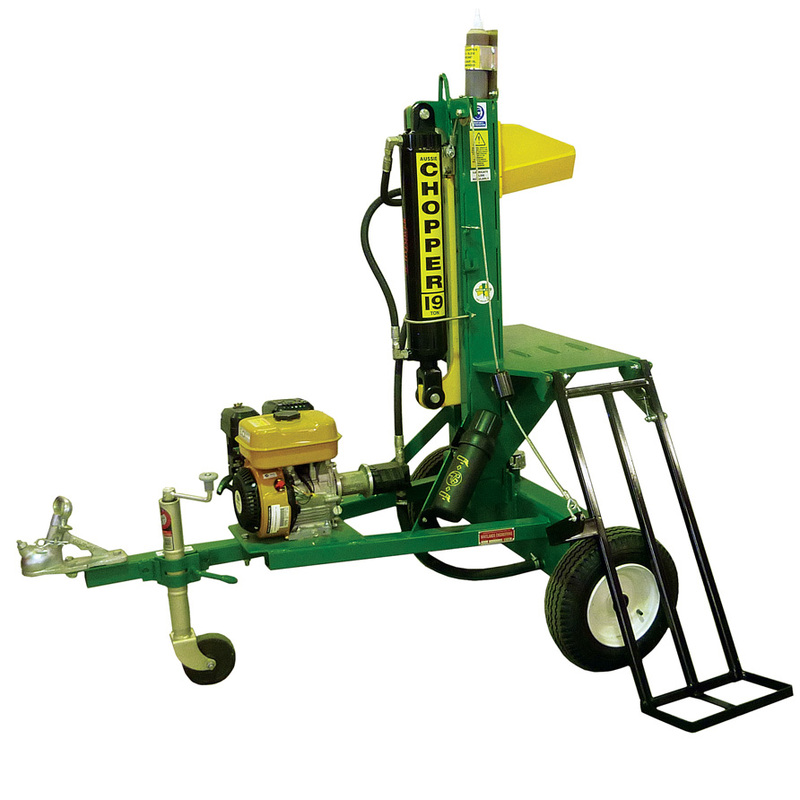 The Rex 900 is considered to be a ‘semi-automatic’ firewood processor. Blocks are loaded into the hopper first. Next they are carried (at a regulated speed) towards the blade by the conveyor underneath. The operator stands between the hopper and the blade, arranging the blocks to feed under the blade at the correct rate. The multi head blade cycles automatically splitting up to 6 pieces of timber per cycle, which is then carried away for stockpiling (or loading) on the 8m outfeed conveyor. The fines & rubbish are sorted from the wood as it falls over the griddle, resulting in a consistent sample of clean wood ready for sale. Importantly, the operator’s working environment is safe, as they are well clear of the splitting zone. 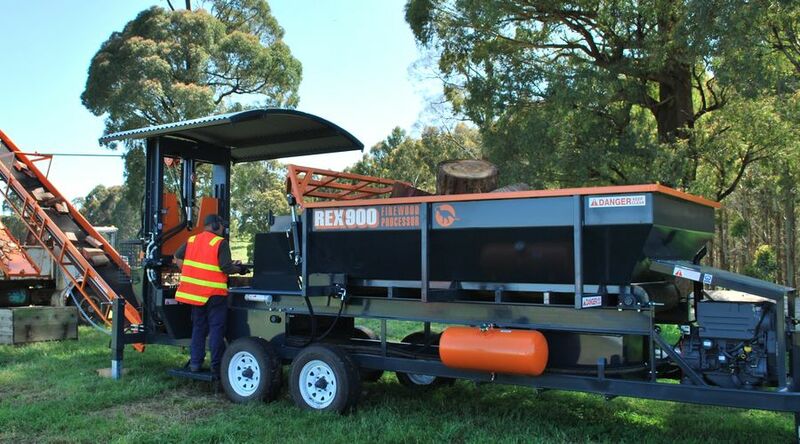 This machine is WorkCover compliant making it ideal for firewood businesses who are seeking to reduce their liability. The Rex 900 features an over specified hydraulic system, built with off the shelf components. Since the first prototype in 2003 it has earned a reputation for reliability & productivity with almost 70 units in use across Australia and New Zealand – most with thousands of hours of trouble free operation. ENGINE: 50hp Deutz, 3 cylinder air-oil cooled diesel. BUILT TO LAST: Proven heavy duty construction with minimal maintenance required. INFEED HOPPER: Capacity is 4 cubic meters. The hopper is filled with blocked firewood with a loader. ELEVATOR: 8 meter elevator with rough top belt. Griddle and griddle tray (to remove rubbish) are fitted standard. BLADE: Proven guillotine/multi blade splitting system can split up to six pieces at a time resulting in unmatched efficiency & extremely high output. Blade cycles automatically producing an excellent sample of split wood with little wastage. CONTROLS: Simple controls with no electronics. OPERATOR SAFETY: the operator’s working environment is safe, as they are well clear of the splitting zone. 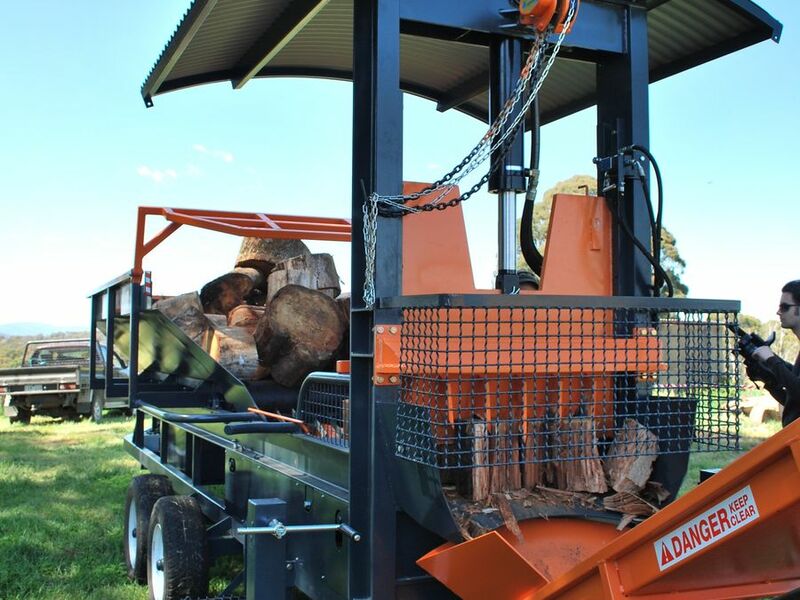 This machine is WorkCover compliant making it ideal for firewood businesses who are seeking to reduce their liability. SAFETY COMMUNICATION: All machines come with a detailed operator manual which includes operator training, maintenance recommendations & risk assessment. READY TO ORDER? Please contact us to order a machine. Your machine will be built to order. TRADING TERMS: A deposit is required to confirm your order and to secure a place in our manufacturing schedule. Full payment is required before the machine is collected or freighted. FINANCE: If you need finance please contact us, we can make a recommendation based on your requirements. FREIGHT: Through a network of freight depots Whitlands Engineering can organise economical freight to most places. We will advise & quote to your requirements when the order is confirmed.